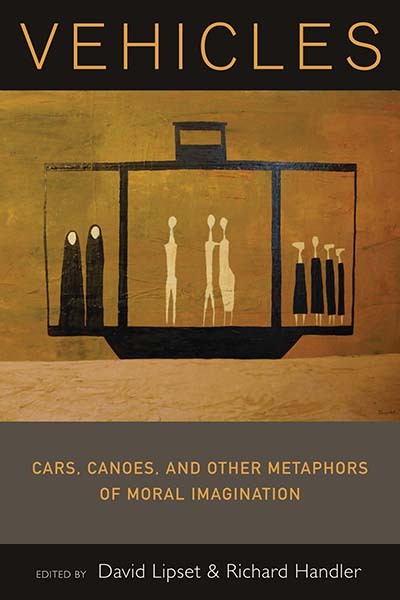 Vehicles: Cars, Canoes and other Metaphors of Moral Imagination, edited by David Lipset and Richard Handler, offers insight into the vehicle as an object that can move not only people, but also ideas. Following, the editors weigh in on the metaphor of the vehicle in contemporary culture. In a heartbreaking interview, the father of one of the five victims of a shooting rampage at the University of California, Santa Barbara that took place earlier this year called Washington politicians a “rudderless bunch of idiots” for their failure to take action to stop violence. Catherine Lutz (2014) recently observed that “the contemporary world is one of restless mobilities” as part of an analysis of how the automobile produces great social and economic inequalities. As these examples are meant to show, vehicles transport people and objects through space, to be sure, but no less do they serve as powerful and omnipresent metaphors of the good and the bad, right and wrong, not to mention self and other. Now a lot of attention of all sorts has focused on cars, boats, trains, bikes and even carts, as well as networks and actors traveling in them. Vehicles is a collection of ethnographic essays by a group of cultural anthropologists that takes up the semiotic and ideological dimensions of vehicles that has eluded us, perhaps because it has been hiding in plain sight. Vehicles are metaphors of moral imagination. Chapters in the collection discuss canoes in Papua New Guinea, pedestrians in urban America, rebuilt WW II airplanes and cars, cars in China, Japan, the former Yugoslavia, among Mexican Americans and in the racialized American South. Enjoy a slide show with images from the book here. David Lipset is Professor of Anthropology at the University of Minnesota and has conducted fieldwork among the Murik Lakes people in Papua New Guinea since 1981. He is the author of two books, Gregory Bateson: Legacy of a Scientist (1982) and Mangrove Man: Dialogics of Culture in the Sepik Estuary (1997) as well as articles on culture, masculinity and modernity in Melanesia. His most recent book (co-edited with Paul Roscoe) is Echoes of the Tambaran: Masculinity, History and the Subject in the Work of Donald F. Tuzin (2011). « Find us at EASA!